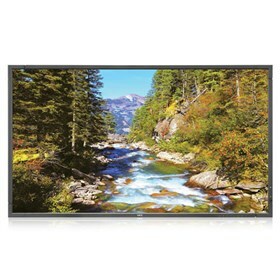 The NEC E705-AVT is a 70" LED backlit commercial-grade display provided with an integrated tuner. This monitor's 450 cd/m² brightness rating and 4000:1 contrast ratio showcases its ability to handle light and dark on-screen images. This model also has 8ms response time, which helps it display fast-moving images. The E705-AVT display is equipped with VGA, DVI, DisplayPort, and two HDMI ports for connecting a variety of video sources. Additionally, this monitor includes the digital tuner module, which is installed in the OPS interface. The LED's dual built-in 10W speakers allow you to enjoy stereo audio playback. The NEC E705-AVT has many exciting features for users of all types. See the NEC E705-AVT gallery images above for more product views. The NEC E705-AVT is sold as a Brand New Unopened Item.